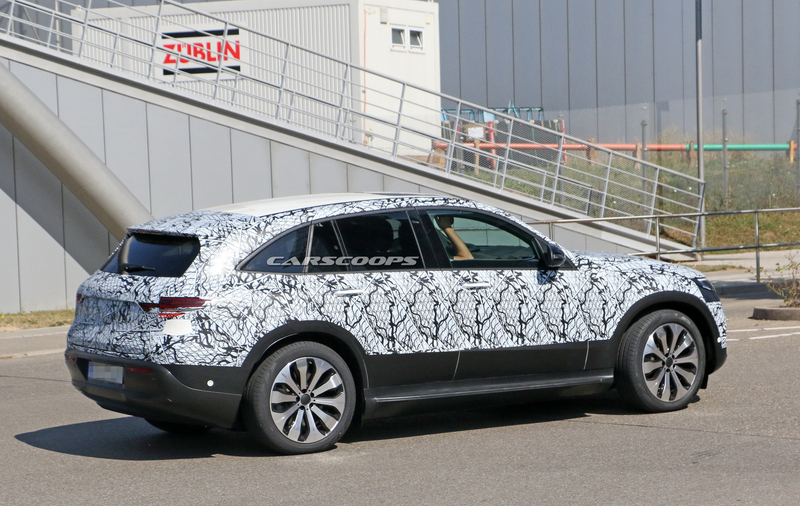 New video and spy shots reveal that the Mercedes-Benz EQC electric vehicle is nearly ready for mass production. 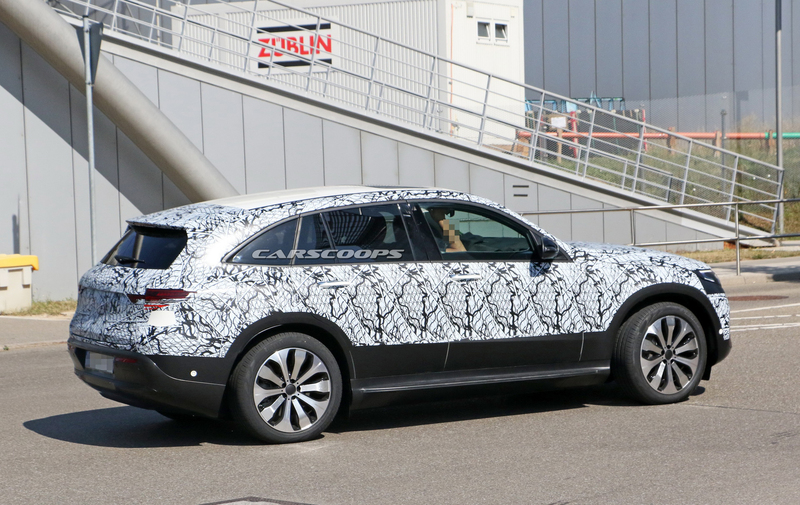 Although most of the upcoming sport utility vehicle’s exterior features are still covered in zebra camouflage and vinyl wrap, some of its exposed areas already give us a lot of ideas of what to expect from it. 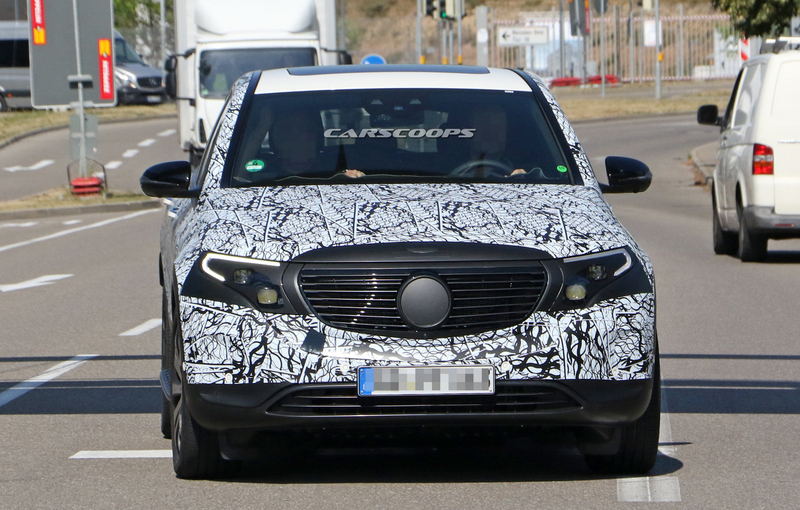 Honestly, we think that the auto spied by Carscoops looks less impressive than the Concept EQC. 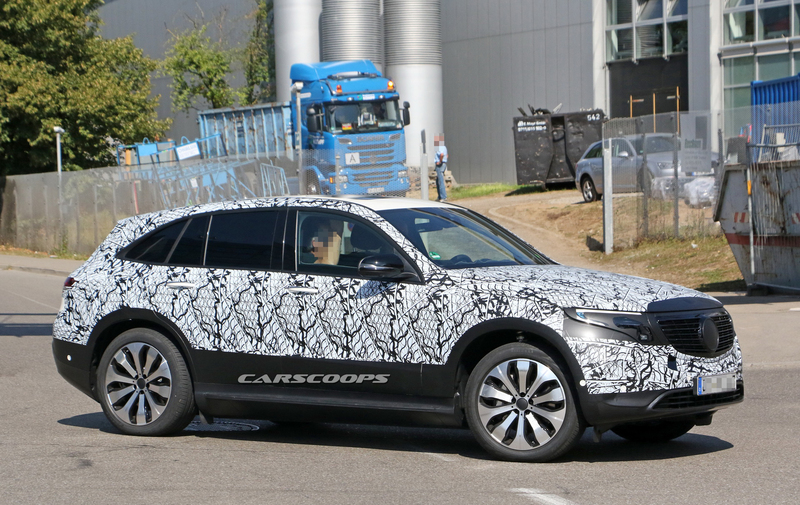 The production version of the EQC appears to have ditched the original blue LED grille design featured on its concept. 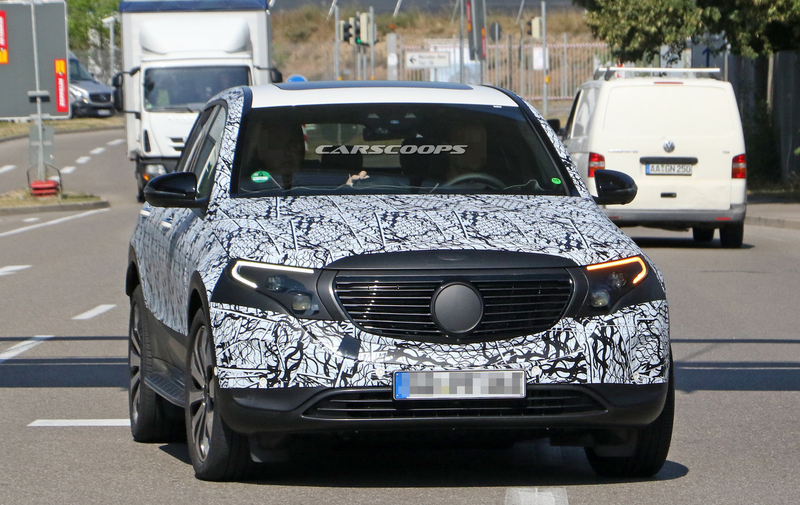 Instead, it has been replaced by a standard Mercedes grille with horizontal slats. 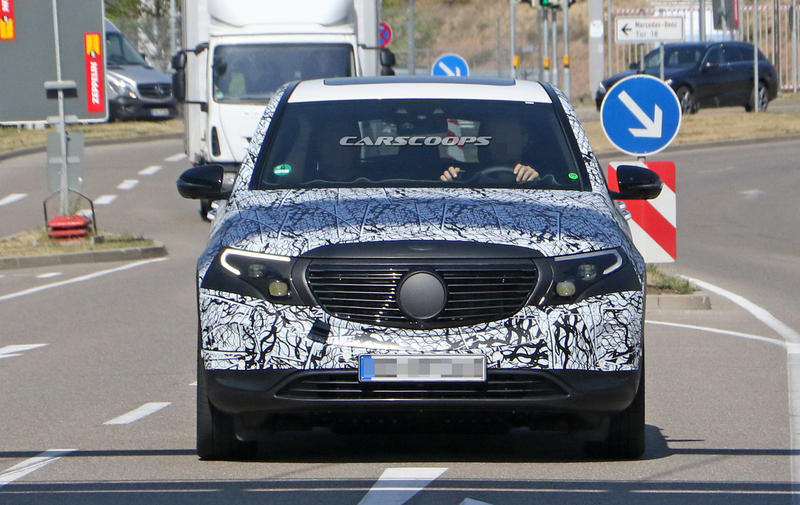 The EQC here is also sporting traditional side mirrors, which were replaced earlier by the Concept EQC with cameras and sensors. 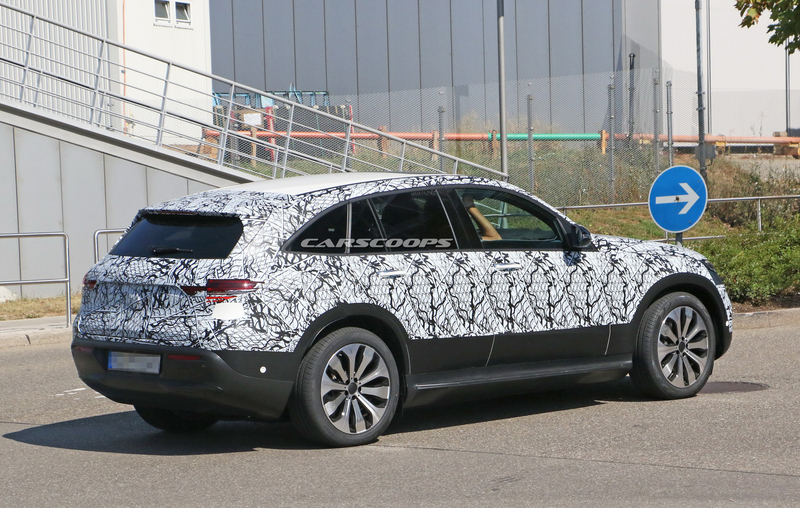 In addition, the door handles are back in the production variant, and the headlamps are much the same as the ones carried by the 2019 GLC and GLE. 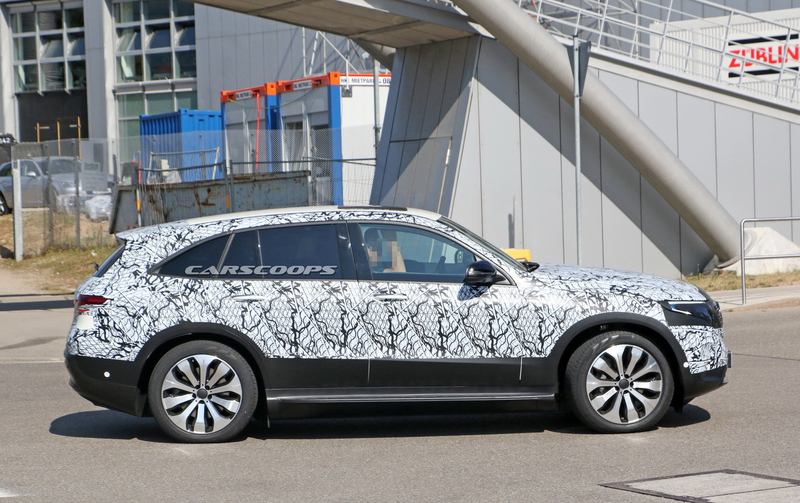 There are many similarities between the upcoming EQC and the new GLC since both are related to the C-Class. The slope in their rooflines is just among the very few elements that distinguish them from each other because the EQC looks sleeker than its fossil fuel-fed counterpart. Meanwhile, a peek inside the EQC reveals a giant screen that stretches from the digital cluster and infotainment system. 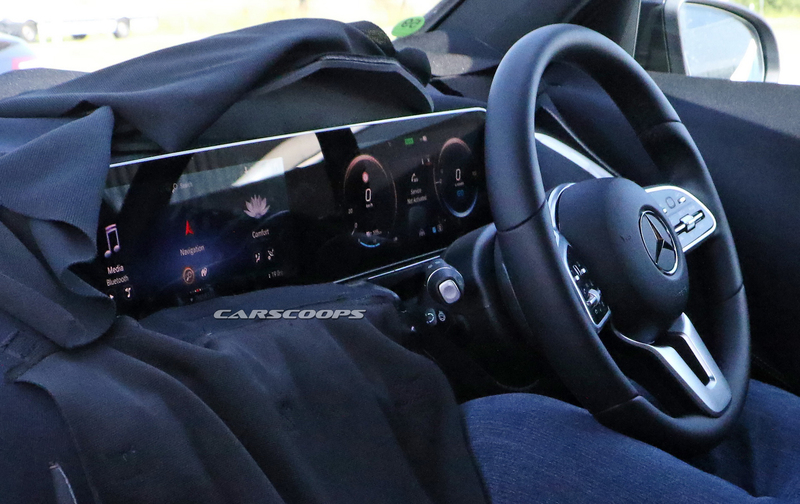 Again, everything in the cabin of the EV is so much alike with the new GLC’s interior. 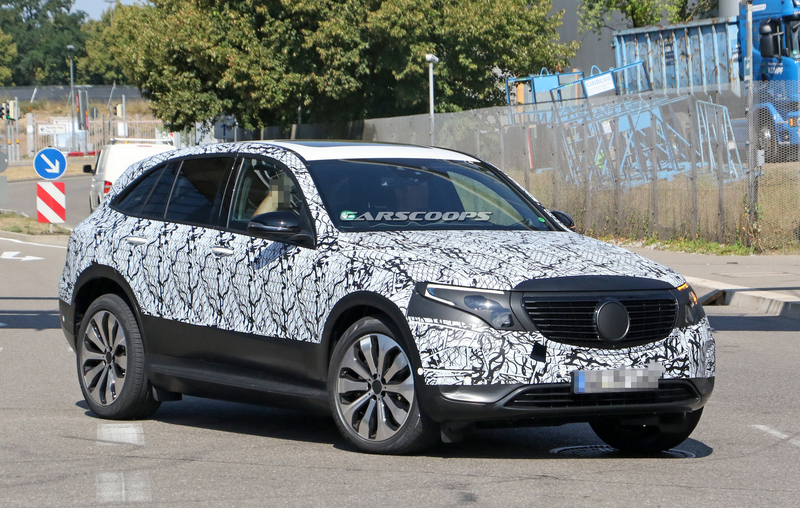 We don’t know yet if the 2019 EQC will retain its concept’s promised 402 hp combined output as well as its 250 miles electric range. However, reports say that the 2019 EQC might surpass the numbers with its 430 hp and 310 miles electric range. 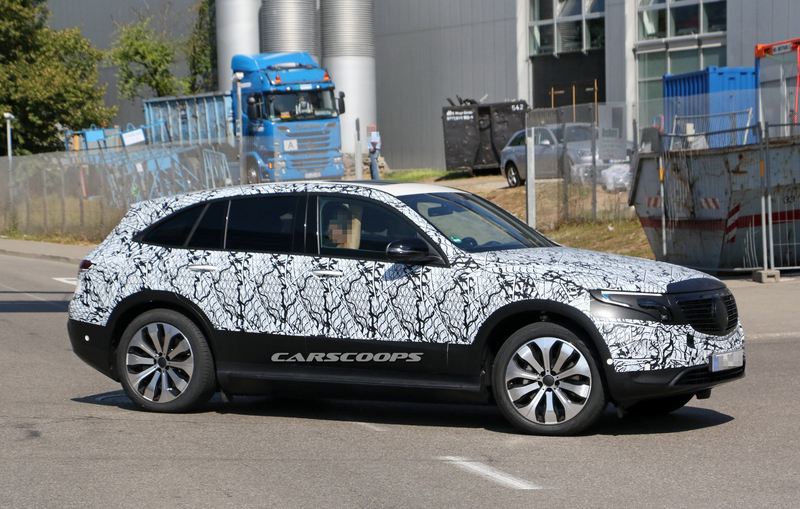 Overall, the video and spy shots of the EQC’s production version suggest that it failed to carry most of the futuristic features of its concept. 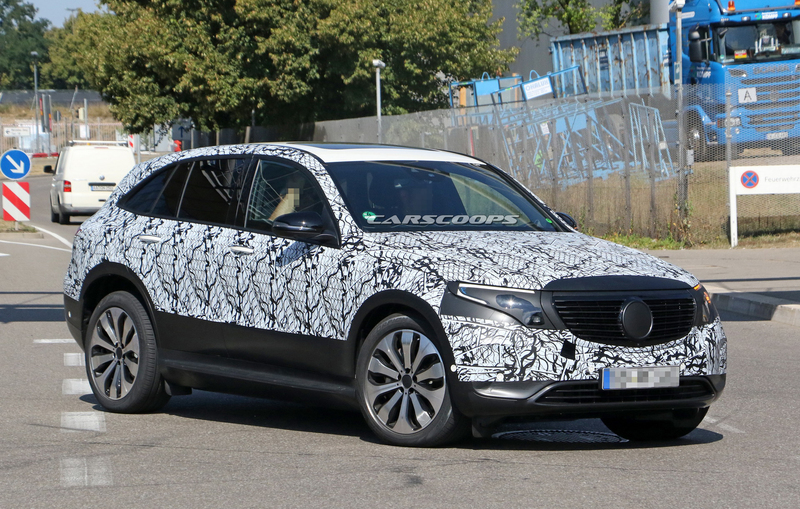 The EV is simply a glorified GLC. 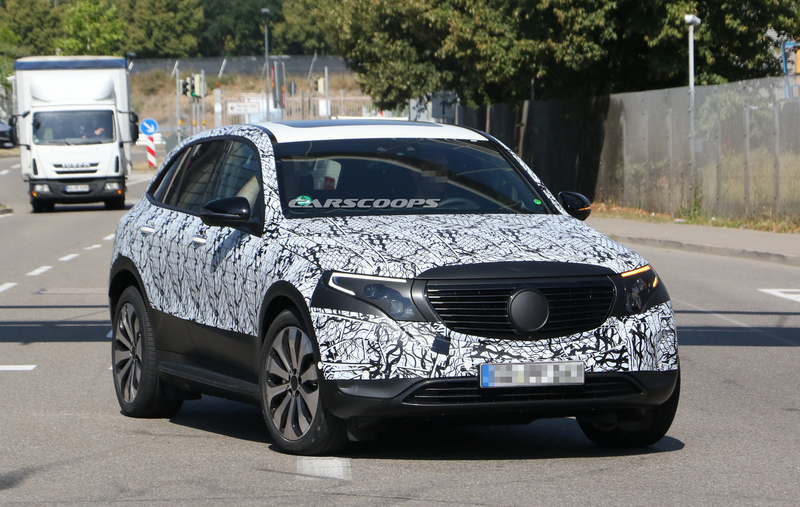 However, since we haven’t seen everything yet, we are hoping that the EQC still possesses some surprises that will make it live up to the hype by the time it is unveiled on September 4, 2018.